NB See also the team's own website. Would you like to spice up your next corporate function or office party? Looking for a bonding activity for your employees that is great fun and that could improve posture? Or are you a May Ball organiser looking for a great entertainment act? Get the party started with a CUDT demonstration! 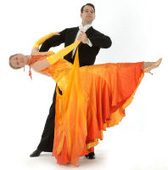 We will put on a dance spectacular of any or all ten ballroom and latin american dance styles, as well as a basic lesson to get your guests moving on the dance floor. See the video below for a preview. 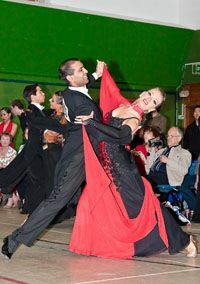 Of our performance to the benefactors of Cambridge University, the Vice-Chancellor, Prof Alison Richard said: 'The CU DanceSport Team put on a terrific spectacle: visually stunning, athletic, and witty'. We will do our best to tailor the length and content of our performance to suit your requirements. 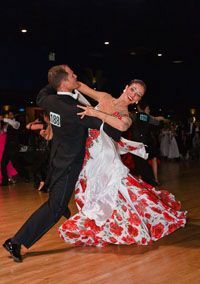 A typical package includes 30 minutes of dancing demonstrated by our team's top couples, followed by 30 minutes of a basic dance lesson. Please contact the CUDT Captain for more information.